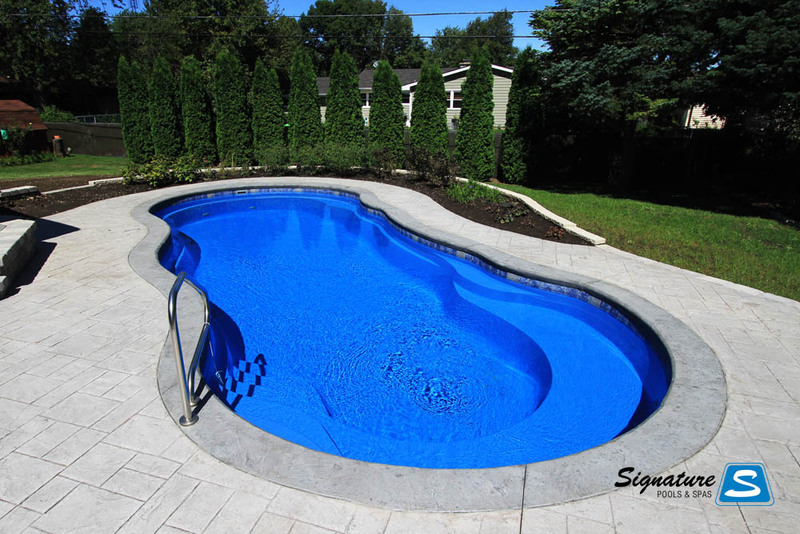 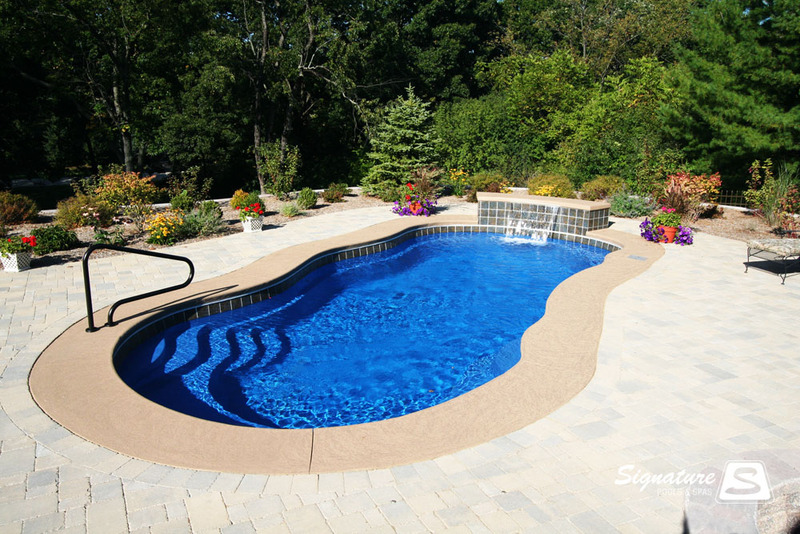 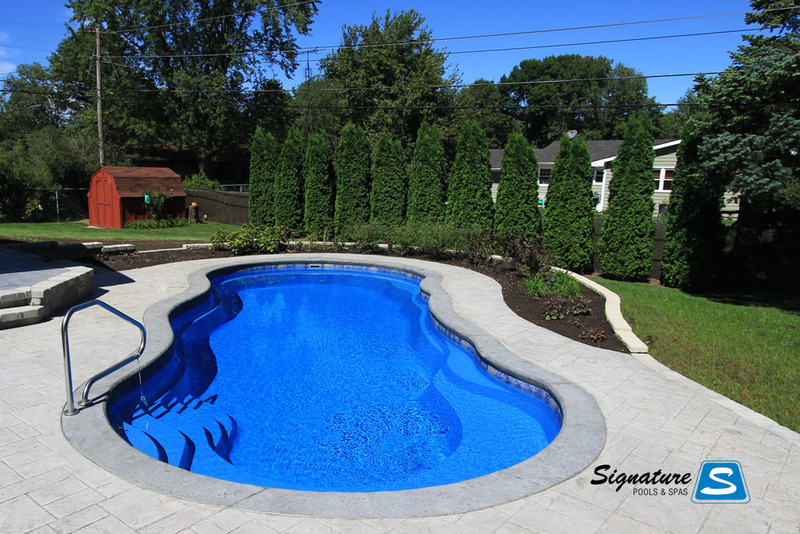 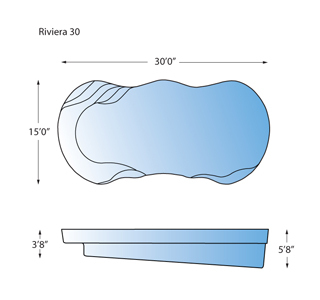 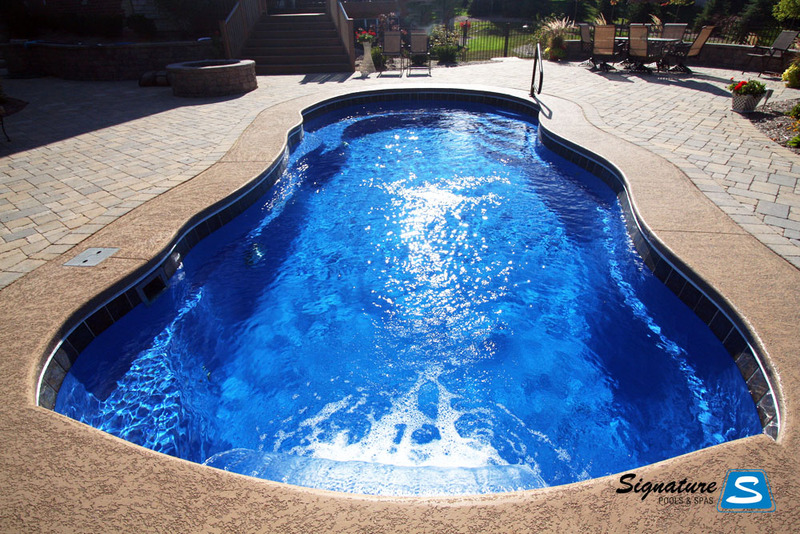 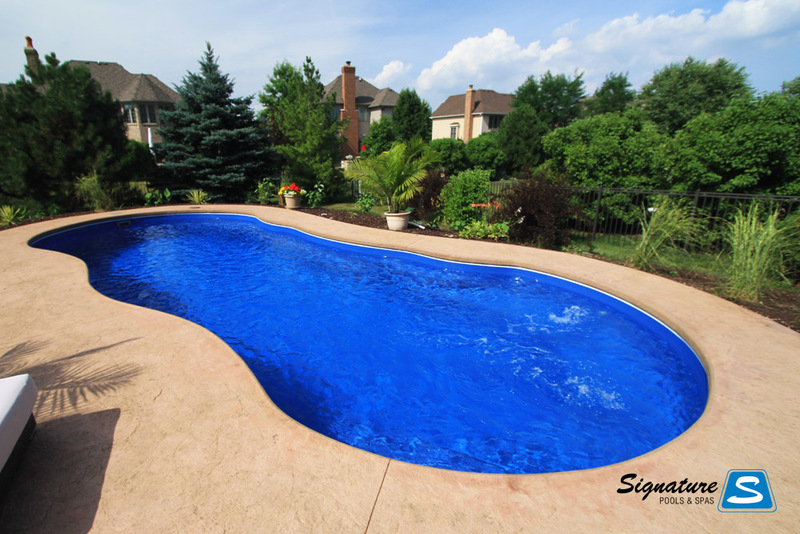 The Riviera model pool from Leisure Pools offers every feature needed if you’re looking for a beautiful free form pool. 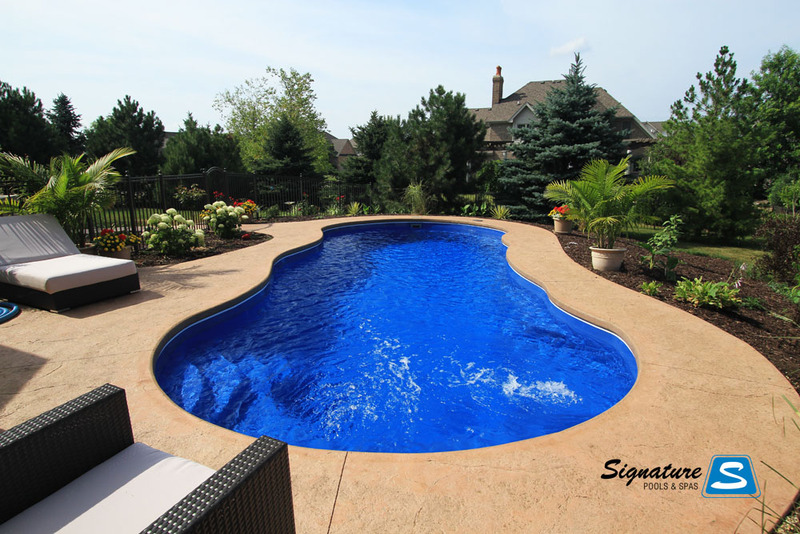 The curves on the Riviera model pool offer a very appealing look, yet are gentle enough not to take away from valuable swimming space. 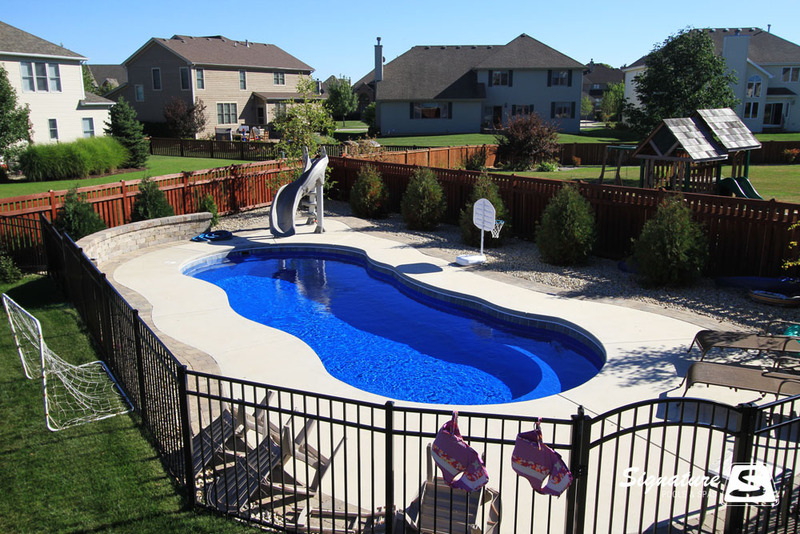 The Riviera is available in both a 30′ model, a 34′ model, as well as the Grand Riviera model which is our 40′ model with 8′ depth. 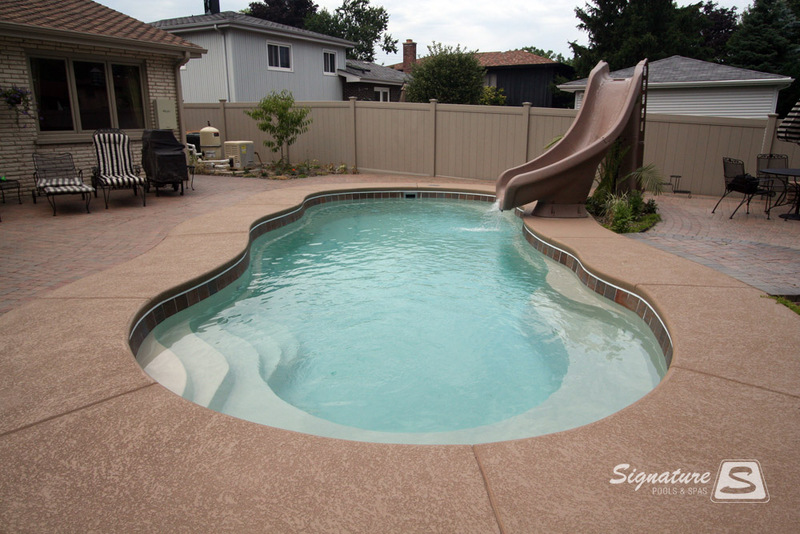 A large family play bench in the shallow end of the pool is a perfect safe area for those just learing to swim and also serves as a perfect area for adults to relax. 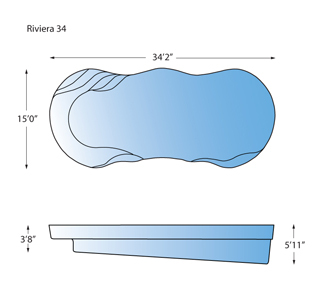 The 30′ and 34′ Riviera models also feature a deep water bench. 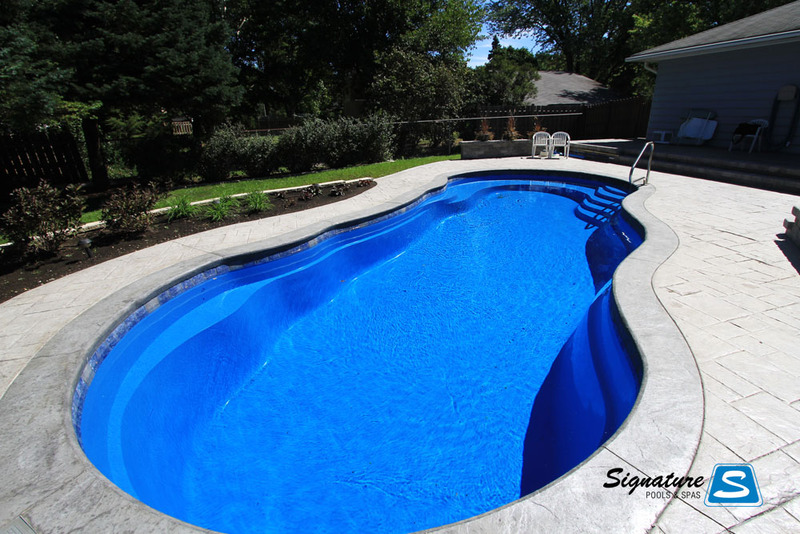 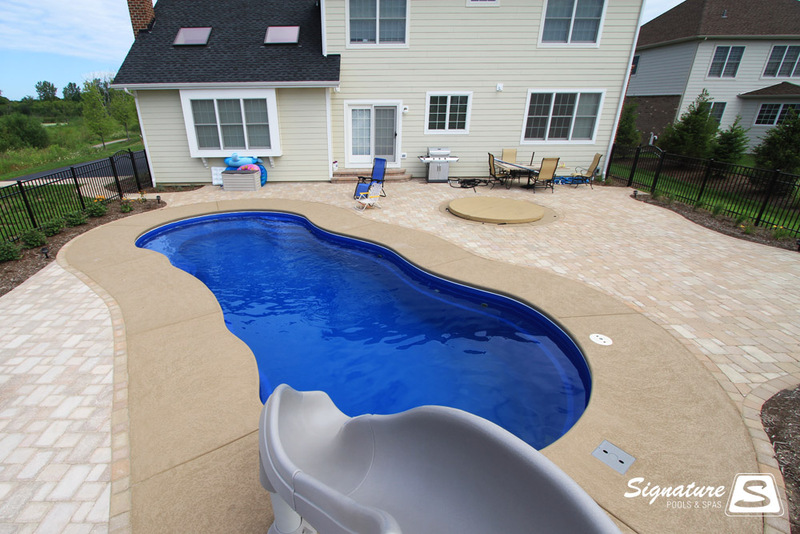 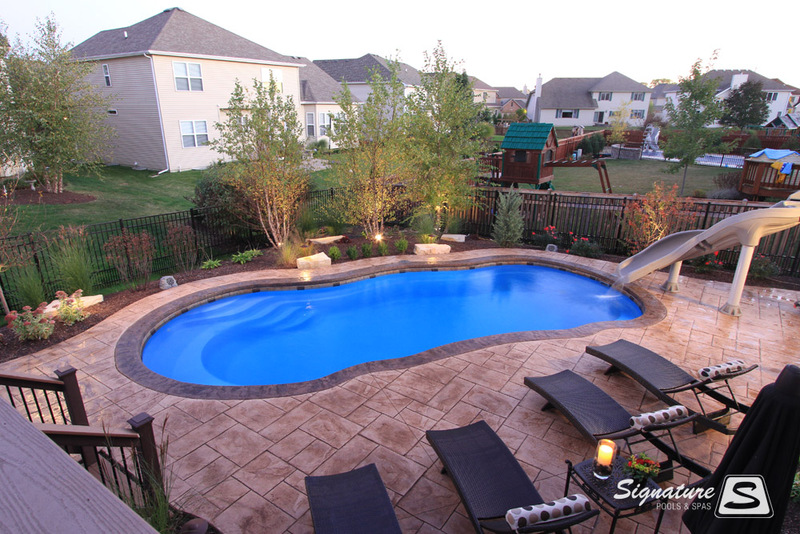 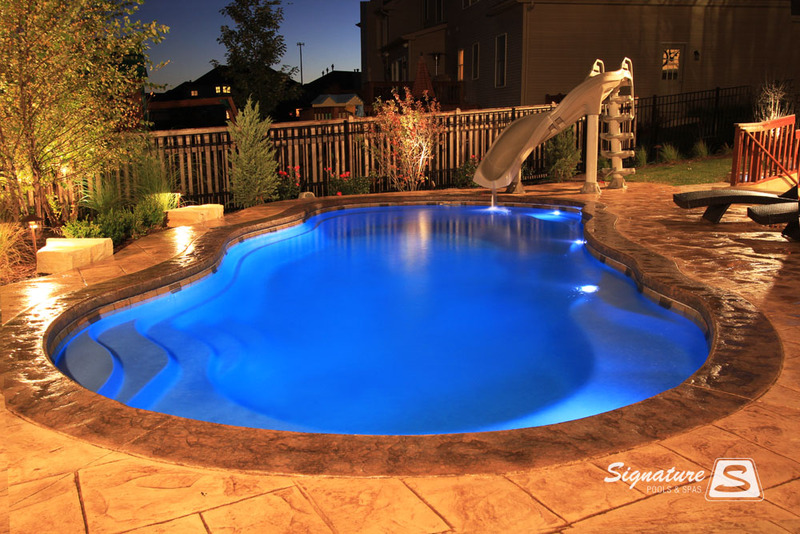 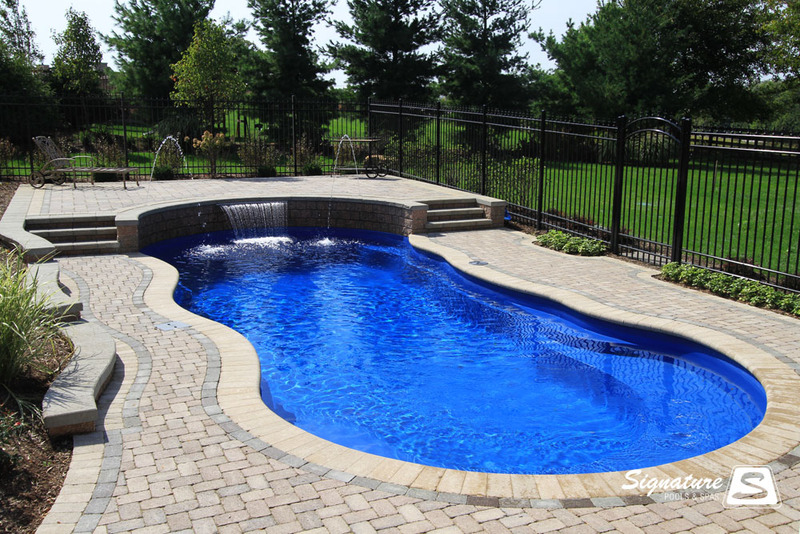 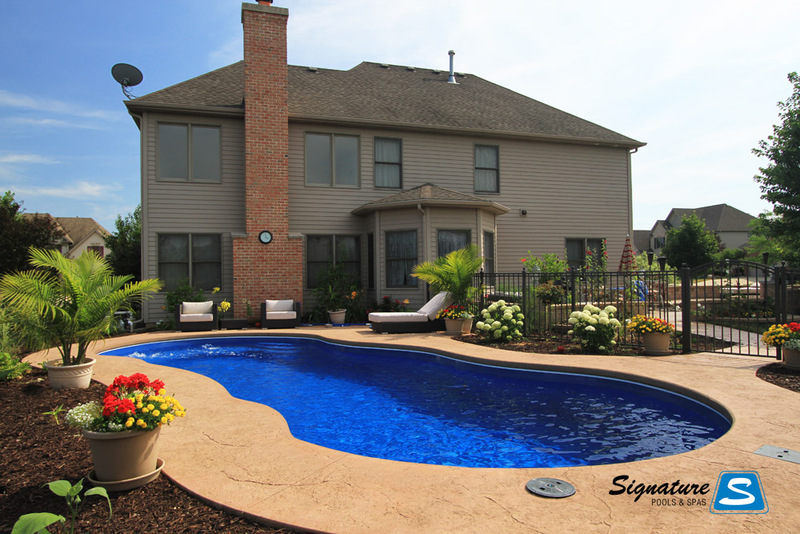 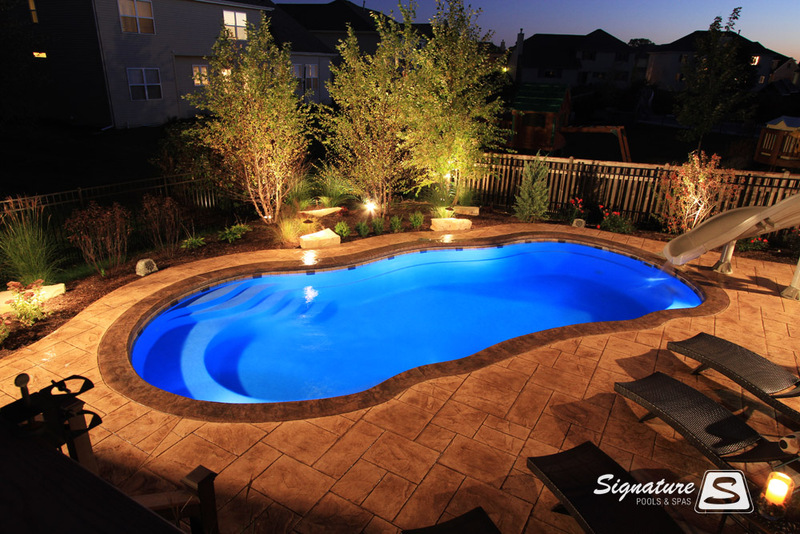 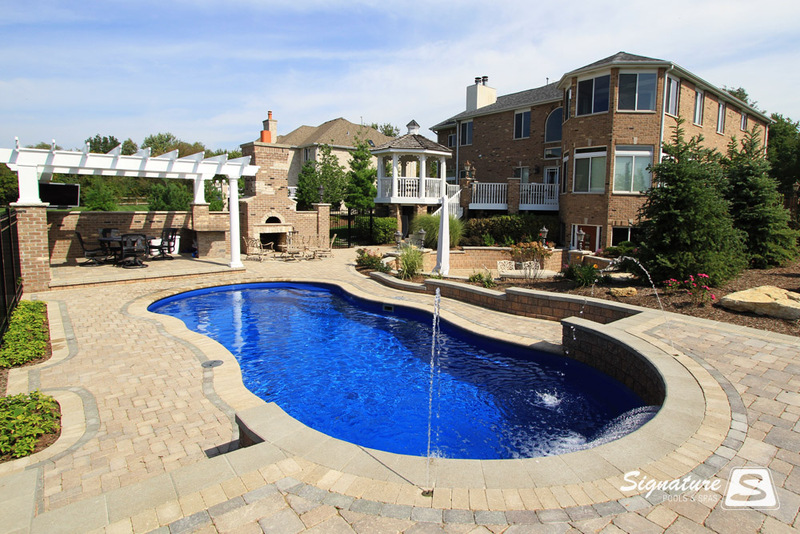 You can see a few of the Riviera model pools we’ve designed and built here in Illinois by clicking on any of the pictures in the gallery above.